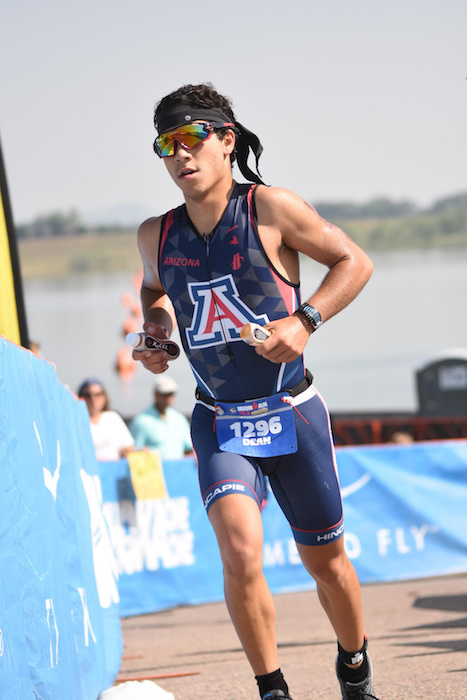 My name is Dean DeBonis and I am a 21 year old triathlete, living in Tucson, Arizona, although I am originally from Scotch Plains, New Jersey. Currently I am attending school at the University of Arizona, I will be a Biomedical Engineering Senior in the fall and will be doing research on the effects of inspiratory muscle training on blood pressure. Since the age of 12 I have been competing in triathlons; completing over 50 triathlons ranging from sprint to half-ironman. I train and compete in triathlon to see myself become the best athlete that I can be. By integrating XRCEL into my training and racing nutrition I am able to push myself further and for longer than any other sport fuel!